Hello, everyone! I present you the state of Lingua for November 2018. In total this month, we published 714 posts, attracted 285,987 visits and 341,534 page views. Our collective Lingua Facebook pages’ fans reached 262,486 and 259,848 followers on Twitter. “Because we're here. Because we exist”: Nofi ‘Black and Proud’ challenges representation in French media by Chayma Mardani. We have new Translation Managers in Romanian and Russian Lingua sites! We published a guide on how can SEO help journalism and news websites. The poll results from the community council are now online. Don't forget to follow Lingua on Twitter, Facebook, and Google+! Please share the application form to join Lingua with your friends and networks. We translate into dozens of languages! 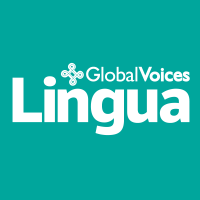 Finally, subscribe to our Lingua newsletter!